Parenting books that tell it like it is--website Brit + Co offers a recommended reading list. Motherhood is no cakewalk. Unless you mean literally walking through a pile of cake, in which case that is highly likely. Whether you’re in need of some serious advice or just some reassurance that you’re not in it alone, these 15 books on the trials and tribulations of motherhood are sure to do the trick. 1. This Is Ridiculous This Is Amazing: Parenthood in 71 Lists ($10): One dad’s 71 hilarious lists about parenthood —from “Things We’ve Googled” to “Safe Places to Eat Cookies” to “Games You Can Play While Lying Down.” In one word: Amazing. 3. Simplicity Parenting: Using the Extraordinary Power of Less to Raise Calmer, Happier and More Secure Kids ($9): Recommended by mega mommy blogger Joanna Goddard, this book takes a look at the ultra fast paced society of today and how it affects childhood. 4. 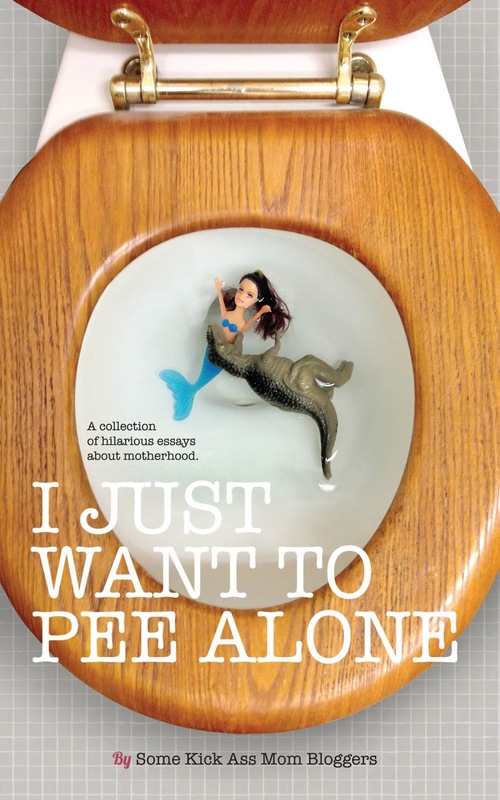 I Just Want to Pee Alone ($10): Welp, that title kind of says it all. With a collection of hilarious essays titled, “A Pinterest-Perfect Mom, I am Not” and “And Then There Was that Time a Priest Called Me a Terrible Mother,” there is bound to be more than one story here you can relate to. 5. Go the F**k to Sleep ($9): This is perhaps the most honest parenting book that ever was. You won’t get any advice about potty training here, however you will feel as though Mansbach has been reading your thoughts during all the difficult bedtimes you’ve experienced. 6. I Heart My Little A-Holes ($13): This collection of funny, warm and charming tales from the front lines of parenthood via the author of the popular Baby Sideburns blog will make you LOL big time. Just like that title probably did. 7. Reasons My Kid Is Crying ($13): Busy father Greg Pembroke started posting a few pictures online of his three-year-old son, mid-tantrum, alongside the reason his son was crying. Usually it was something like “He had broken his bit of cheese in half.” For the book, Pembroke collected photos sent from parents around the world with hilarious reasons why their kid is crying. 8. All Joy and No Fun ($16): Drawing on a wide variety of studies, surveys and interviews with parents, author Jennifer Senior chronicles the impact of children on everything from marriage to self awareness. You might find yourself dogearing a page or two from this… #canrelate. 9. How to Talk So Kids Will Listen + Listen So Kids Will Talk ($9): Communicating with your little one is hard, but as we’ve all come to realize at one point or another, yelling is not the most effective method. Let Adele Faber help you break down the barrier. 10. Operating Instructions: A Journal of My Son’s First Year ($11): Anne Lamott tells the story of her first year as a mother to a baby boy. She was single, 35 and a recovering alcoholic. Her honest descriptions of new motherhood are smart and up-roaringly hilarious. 11. Stuck in the Middle With You: Parenthood in Three Genders ($18): Jennifer Boylan began her parenting journey as Jim Boylan. She is transgender and went from male to female when her two boys were small. Her story describes her experience of parenting as a man, a woman and in the middle of her gender switch. 12. Ketchup Is a Vegetable ($11): Isn’t it?! In this series of essays, O’ Bryant shares a humorous, honest look at a day to day life of being a mother to three, running a household and the everyday monotony of parenting. 13. Confessions of a Scary Mommy: An Honest and Irreverent Look at Motherhood – The Good, The Bad, and the Scary ($11): In a culture that idealizes motherhood, it’s scary to confess that sometimes it’s a bit of a nightmare. Jill Smokler helps you realized that acknowledging the bad doesn’t make you a crappy mom or a scary mom, but simply an honest one. 15. The Good Mother Myth: Redefining Motherhood to Fit Reality ($12): Avital Norman Nathman is here to talk you down from those sky-high expectations Pinterest and magical mommy bloggers have built up. With a foreword by Christy Turlington Burns, this book is a down-to-earth collection of stories about mothers who are just trying to make it all work.